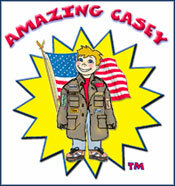 This is a collection of Stop Bullying * Character Education Lesson Plans and Video Lessons. Includes ideas for teachers in bullying prevention, school violence prevention, character education citizenship, and tolerance. that be completed in a few minutes and tie with your school's existing curriculum. Welcome to Kamaron Institute’s Amazing Idea Media Center. Feel free to download and use a teacher-tested Amazing Stop Bullying Lesson Plans and character activity ideas to support your KC3 Positive Label Program. You will see that these dedicated and creative educators applied the Good Finder principles to all curriculum areas: Language, Math, Science, The Arts, Life Skills, Bullying Preemption, and Character Education. Watch 3-Minute Video Lessons. Language arts, reading, emotional/social intelligence and successful classroom management. We ask that you come back and “deposit” an idea that worked for you. We run on the honor system. You can’t take others where you don’t go. The plans are the copyrighted property of the Kamaron Institute and may be used for educational purposes only. Not for re-sale.